This post was sponsored by Finish. All opinions are my own. There’s something about clean that just makes you feel good. Accomplished even. I’m not just talking about the nice surface clean, where there is no visible dirt or debris. That’s good too, but I’m talking about the deep, sparking bit of a gleam coming off of it, type of clean. The kind of clean that looks as if someone has spent countless hours scrubbing and polishing to a perfect shine! The kind that looks like you are either the ideal “Stepford wife”, or have a live in maid. What if I told you that’s pretty much how my dishes look each and every day? And that I’m no Stepford wife. And that, no matter how hard I try to convince him, my husband isn’t too keen on the idea of us hiring a live in maid so it’s just me here doing a majority of the cleaning. Want me to let you in on my little secret? 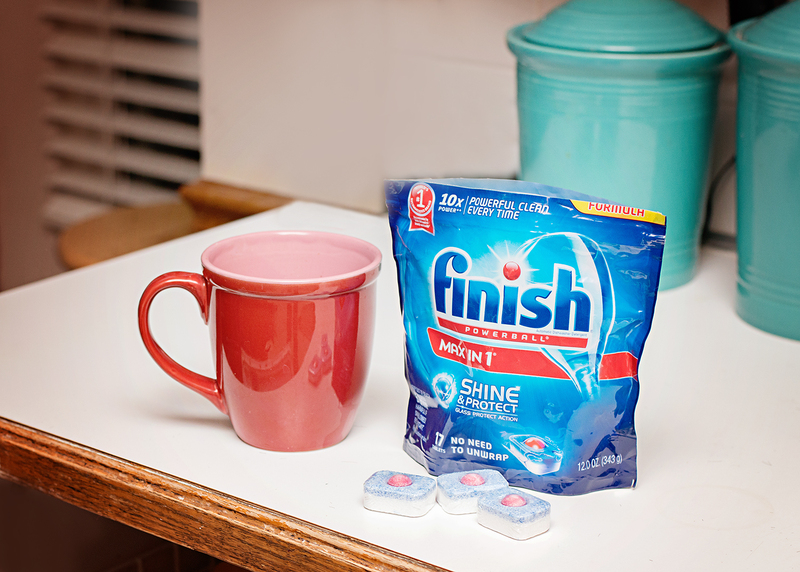 Finish Max in 1 Dishwashing Detergent. 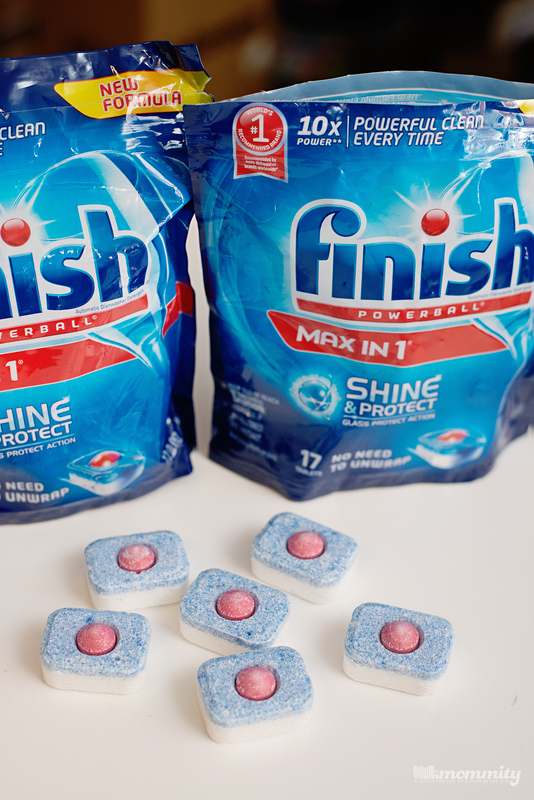 This new product from Finish is not your average dishwashing detergent. It comes fully loaded with Shine and Protect, which offers a powerful clean and shine to your glasses… and helps prevent corrosion at the same time! These leaves even your toughest messes clean and shiny. You name it, and this stuff will knock it out! This has saved me soo much time and energy when it comes to doing dishes. Not to mention saving water! Did you know that handwashing your dishes uses up to seven times more water than a regular dishwashing cycle? I didn’t either, until I read about it on the Finishing Dishwashing Website! You can find that, and many more other helpful dishwashing and energy saving tips there! To Enter : Comment below with your best time and/or energy saving tip when it comes to dishwashing. One winner will receive their very own Finish product! Giveaway Rules : This giveaway is open only to individuals who are legal residents of the United States, who are 18 years of age or older. Giveaway ends on October 30, 2015. Winner will be selected randomly via random.org. Winner will be contacted via email and will have 48 hours to claim prize before a new winner is drawn. ← How to Be the Best Treat Giver On Your Block!